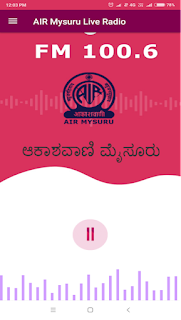 Home » Actor » Actress » Bollywood » India » Movie » News » Picture » Song » Update » All India Radio Mysuru (FM 100.6) launches mobile app "AIR Mysuru Live"
All India Radio Mysuru (FM 100.6) launches mobile app "AIR Mysuru Live"
All India Radio, Mysuru had started live streaming of its programmes through its website www.airmysuru.com in April this year. It has drawn huge positive response from the listeners from different parts of the world. 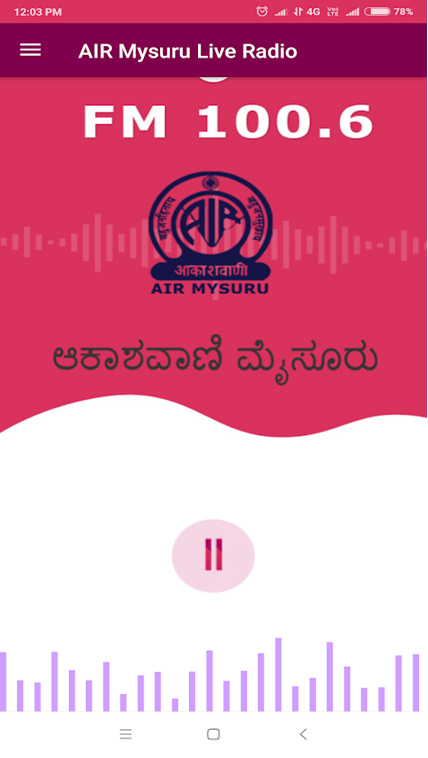 For the ease of the listeners and to make live streaming more user friendly, a mobile application was developed and dedicated to listeners on from 15th August 2018.AIR Mysuru's official app " AIR Mysuru Live" offers a bouquet of information, entertainment and public service rendered mainly in Kannada with certain programmes in Hindi etc. It caters to the cultural needs of mobile – wielding listening by Kannadigas living in India and Abroad. It cares for Nostalgic Indians living far away from Karnataka and missing mother tongue Kannada.